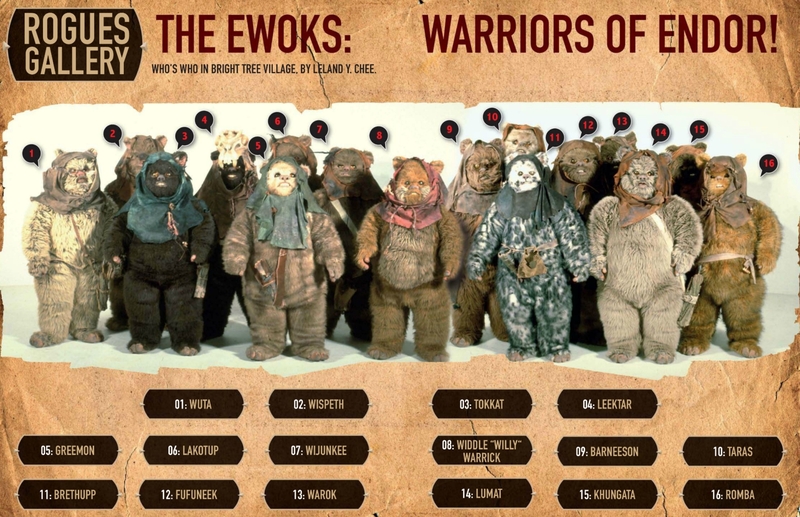 Get to know Han Solo's favorite tribe of "little furballs." Imagine you’re on the moon of Endor after taking Star Tours Flight 45. Close your eyes and concentrate on your surroundings. You can smell the forest, touch the soft humid soil, and hear the distant song of a lantern bird. Then, suddenly you might find yourself hanging upside down, caught in a booby trap of an Ewok tribe. Welcome to the land of the Ewoks. 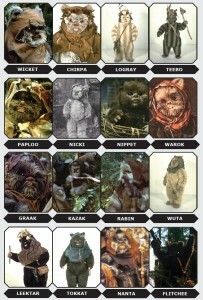 The origin of the Ewoks is rather diverse. Story wise, the Ewoks evolved from Wookiees. George Lucas had foreseen that the decisive battle in the Galactic Civil War would take place between the Wookiees and the Empire, but since Chewbacca was too skilled at using technology, Lucas wanted a more primitive species to defeat the Empire. In our own history the origins of the Ewoks can be found in the Vietnam War (1955 – 1975). In that confrontation during the Cold War, the guerrilla Vietcong warriors were a constant threat to the anti-communist soldiers because they knew every inch of the jungles they called home. 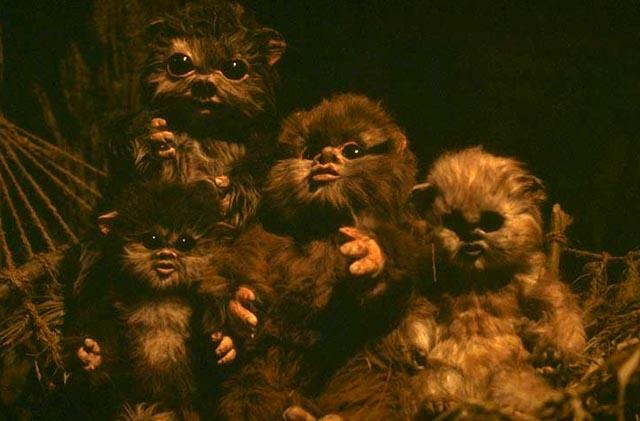 The small and adorable Ewoks managed to rise far above their appearance in Return of the Jedi. 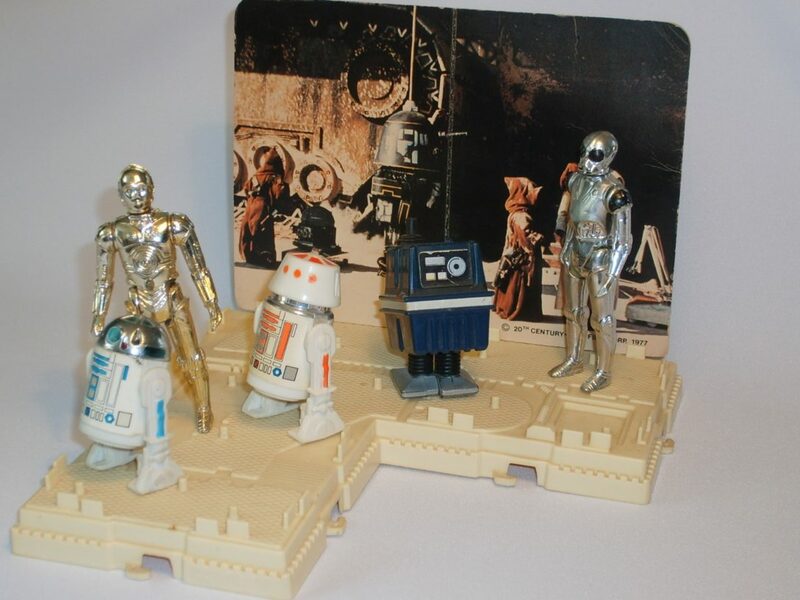 They were the stars of two television movies (Caravan of Courage and The Battle for Endor) and in a cartoon series made by Nelvana. They even made an appearance on Ice Capades in 1986! To the untrained eye, many Ewoks look alike. 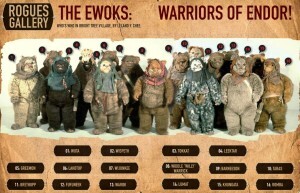 But if we have a closer look, you’ll recognize many individual Ewoks. And the best thing is that we don’t need to be dragged into their village as prisoners in order to meet them! The word Ewok is never mentioned in Return of the Jedi and neither is one of the Ewok names. A handful Ewoks were named by the production or were mentioned in the novelization. Six Ewoks are mentioned on the credits of Episode VI. Wicket is the most famous by far. Wicket Wystri Warrick is the young inquisitive Ewok scout who meets Princess Leia after her encounter with the Imperial biker scouts. Wicket leads Leia to Bright Tree Village where she gets a warmer welcome than her friends would get. Wicket goes on to warn his tribe of the trap that has been sprung by the Empire near the shield generator bunker. 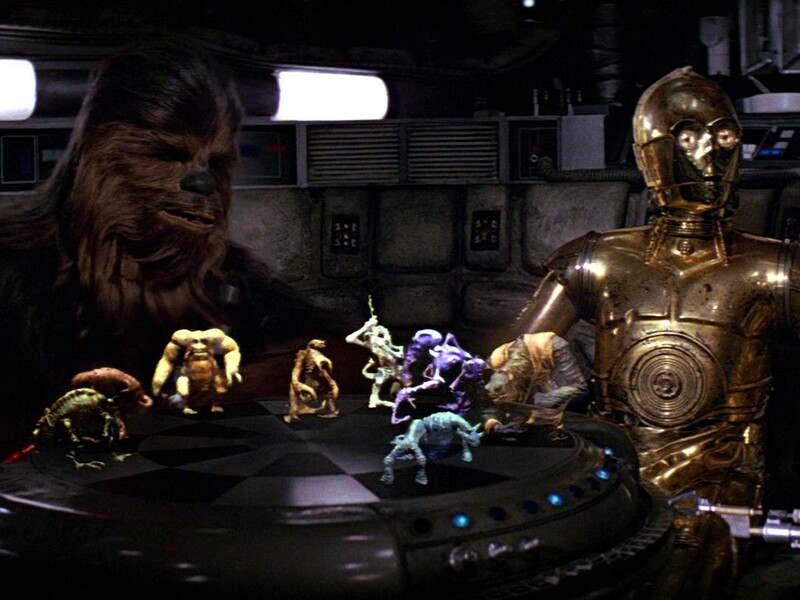 During the battle against the Empire, Wicket shows bravery, but he hasn’t been able to fully master all of his species’ fighting techniques. Chieftain of the village is Chirpa, a wise and older Ewok who leads a Council of Elders. Chirpa is advised by his pet iguana and agrees that the rebel strike team can become a part of his tribe. Logray is the shaman of the tribe. 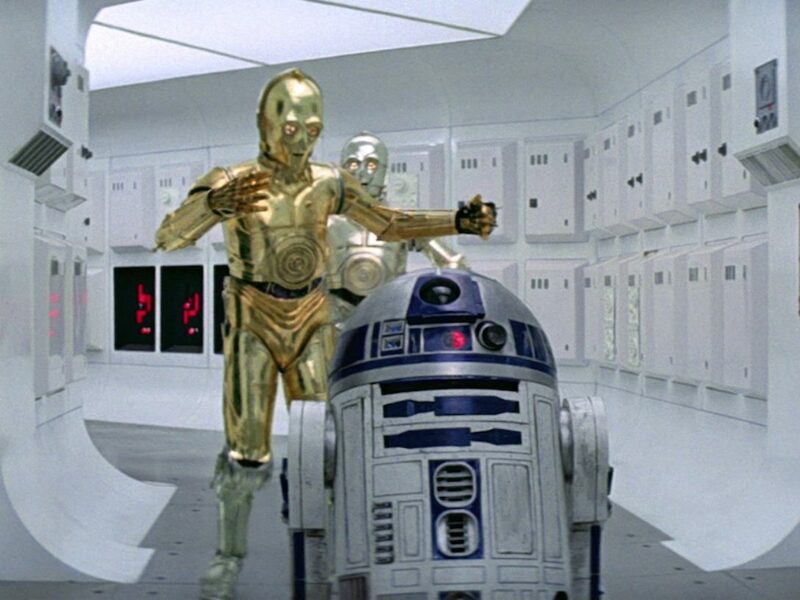 He doesn’t believe that C-3PO has special powers, but when he apparently does seem to have magic powers after all, he immediately decides to set the heroes free. Logray also fights against the Empire in the battle along Teebo. He’s another scout and warrior who leads the scouting party that brings the captive heroes to the village. Teebo sports the skull of a gurreck as a headpiece. 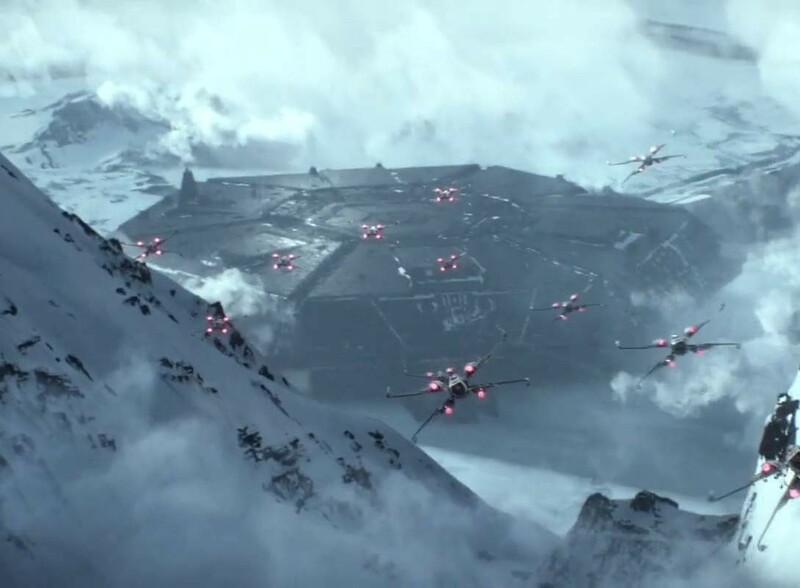 Paploo is a scout and together with Wicket he reveals a secret passage to the strike team, a pathway that will lead straight to the shield generator bunker. He even manages to lure three biker scouts away after stealing one of their speeder bikes. The last Ewok mentioned on the credits is Nicki. For a long time fans had no idea who Nicki was, but it was uncovered that he’s the Ewok with gray fur who does a cartwheel during the festivities. Kenner made five of the six Ewoks mentioned in the credits, but they decided to add three more to their line of action figures. Lumat is the chief woodcutter of the tribe (though his action figure came with a bow). Warok is the father of Teebo and a known Ewok warrior. 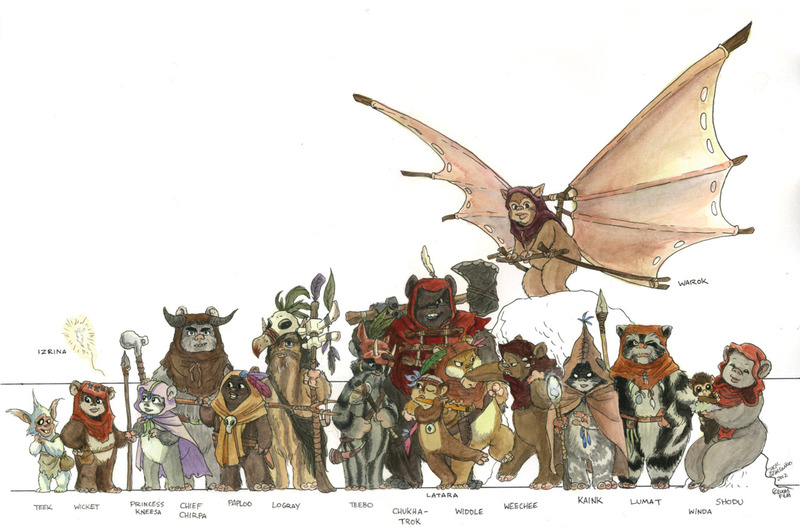 Romba can easily be seen in Episode VI since he’s the Ewok who mourns for his fallen comrade Nanta. 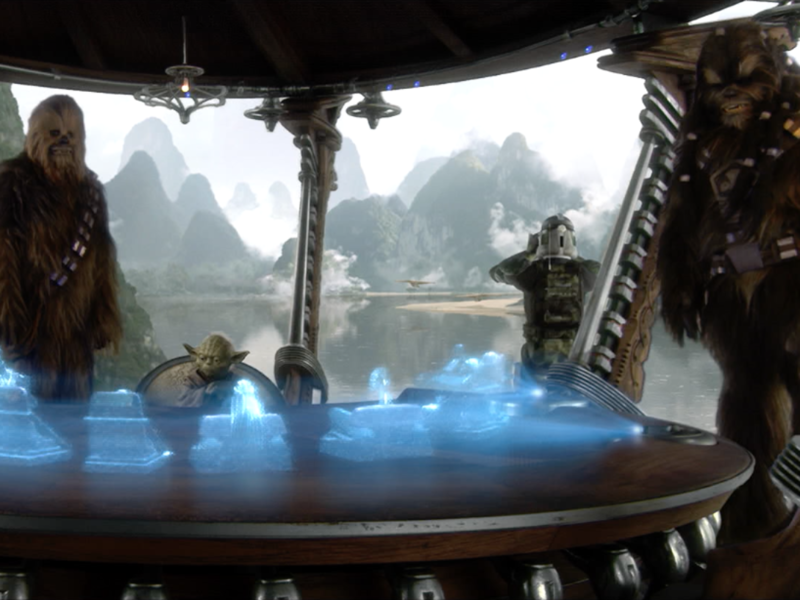 Wokling (a baby Ewok) Nippet gets her name during the vintage era, but it took some time before she was properly identified in the movie. Nippet is the daughter of Lumat. Despite some of Decipher’s typical errors, the CCG names a few Ewoks in the nineties. Graak is a cunning Ewok who’s armed with an ax. Kazak is the first Elder and an important adviser to Chirpa. Rabin is a loner and a survival expert. 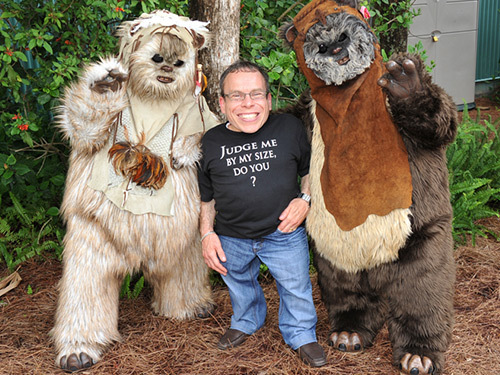 These three Ewoks are all part of the group that captures the heroes. Wuta is a scout who searches for fallen trees in order to make tools out of them. He can be seen talking briefly to Wicket in the village courtyard. 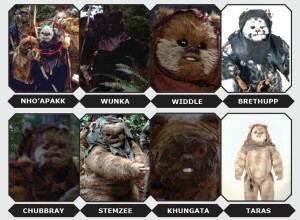 After the CCG, more Ewoks gradually received their name. The two Ewoks who operate the AT-ST walker alongside Chewbacca are known as Widdle Warrick and Wunka. Widdle is Wicket’s older brother and Wunka is the Ewok with very dark fur who carefully caresses Chewie in the cockpit of the AT-ST. Leektar can easily be recognized by the large skull he’s sporting as his headgear. He originally hails from Red Bush Grove, and is eventually named an Honorary Elder by Chirpa. 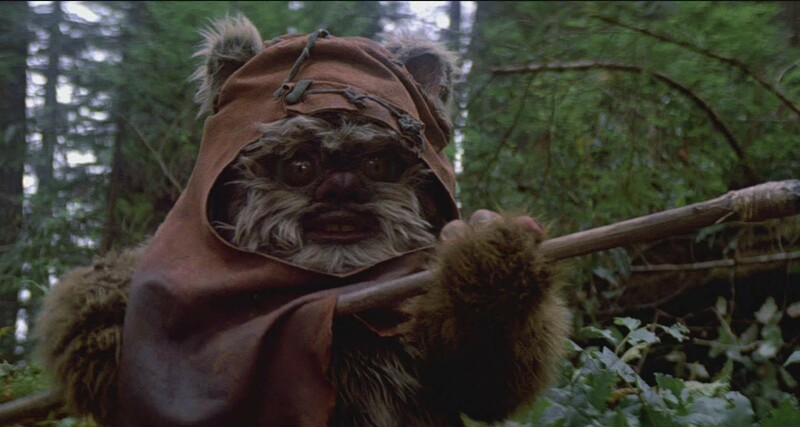 Tokkat is Wunka’s brother, and this Ewok with dark fur uses a bow during the battle. Nanta, Flitchee, Nho’Apakk, Chubbray, and Stemzee were all named by Hasbro who made their action figures. Nanta is the Ewok who gets killed in combat and is accompanied by Romba, who mourns for his fallen friend. Flitchee is the Ewok who can be seen swinging an E-11 blaster rifle during the battle. Nho’Apakk has been tricky to identify. 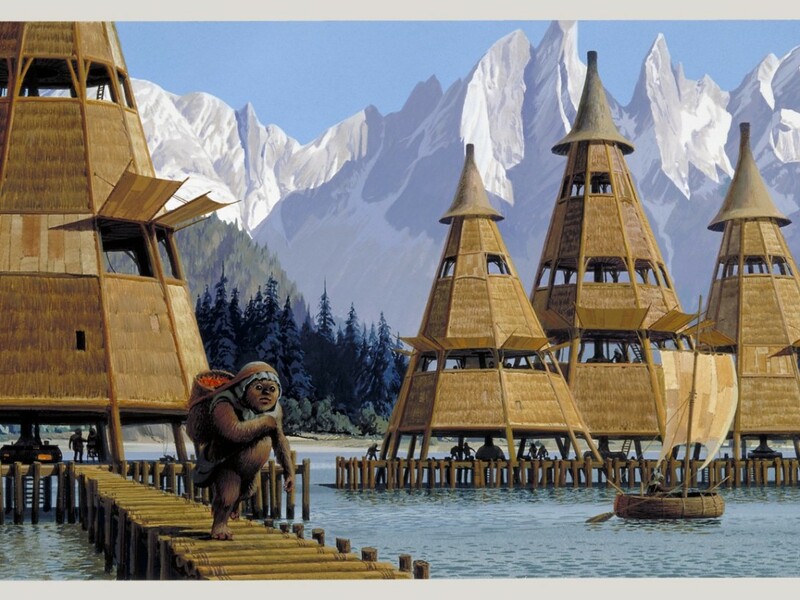 Before Hasbro released Chubbray and Stemzee, two Ewoks that operate one of the catapults, it was believed that Nho’Apakk was one of them. Additional research identifies another Ewok as Nho’Apakk. Rogues Gallery from Star Wars Insider #135. A final group of names were given in the Rogues Gallery article in Star Wars Insider 135 by Leland Chee. 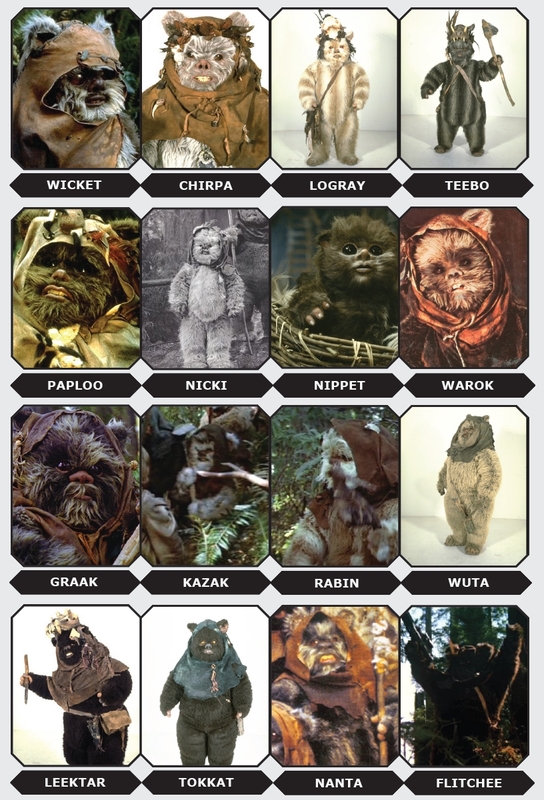 The Ewoks that receive their name for the first time in this article are Wispeth, Greemon, Lakotup, Wijunkee, Barneeson, Taras, Brethupp, Fufuneek and Khungata. Some of these individuals are rather hard to identify. Brethupp is an easy one since he has spotted fur and can be seen in the village square. He’s also one of the Ewok drummers during the festivities. Taras and Khungata are part of the group that encounters the trapped heroes. Greemon has a greenish headgear and can be seen in the village square piling up logs under Han Solo. Fufuneek has brown fur, small ears and can be recognized by his ‘pointy’ hood. Wijunkee has a white strap across his shoulder. 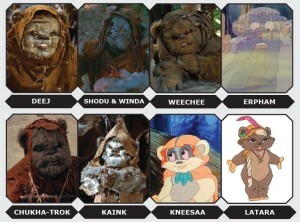 As mentioned earlier the Ewoks also starred in two television movies and a cartoon series in the eighties. 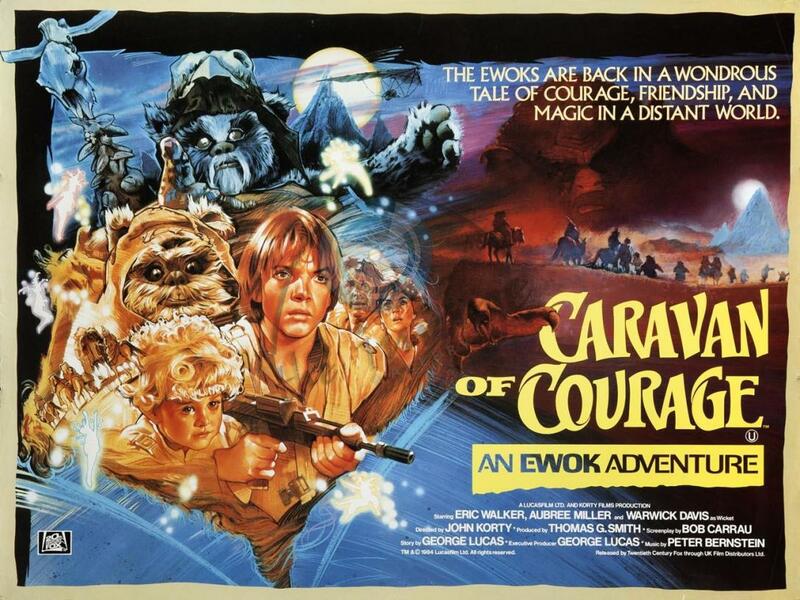 Caravan of Courage: An Ewok Adventure (ABC, 1984) features Wicket, Widdle, and Logray from the movies, but also introduces the powerful Chukha-Trok, the priestess Kaink, and other members of the Warrick family, including Wicket’s father Deej, Wicket’s mother Shodu, Wicket’s eldest brother Weechee, and his Wokling sister Winda. 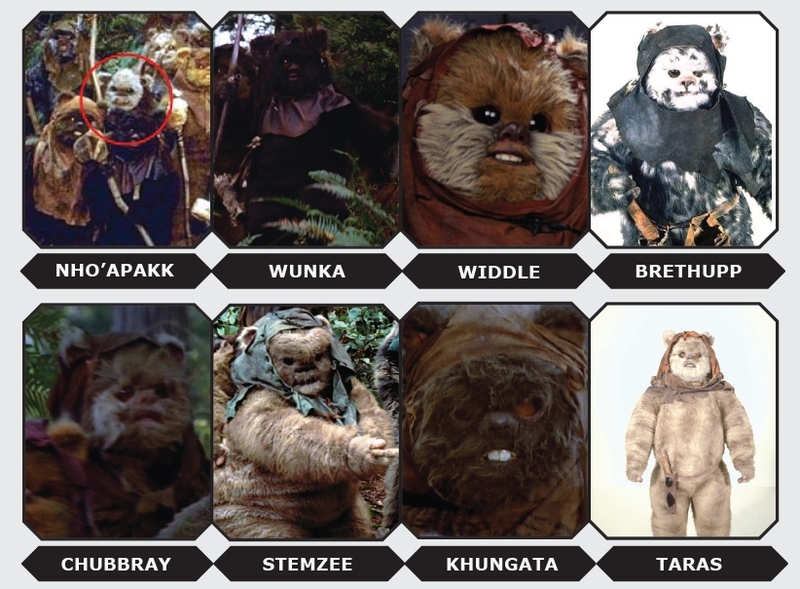 Ewoks: The Battle for Endor (ABC, 1985) features several Ewoks from Return of the Jedi, but only mentions Wicket by name. Star Wars: Ewoks was produced by Nelvana on behalf of Lucasfilm and ran for two seasons (1985 – 1986). 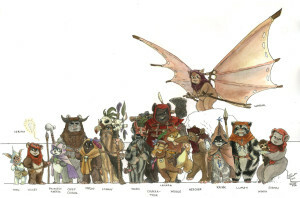 The thirty five episodes focused on the life of young Wicket and his friends. Introduced in the cartoon is Wicket’s best friend and romantic interest Princess Kneesaa A Jari Kintaka, the youngest daughter of Chief Chirpa. Kneesaa has become a popular character due to many appearances in the cartoon, in comics and as merchandising. Other new friends of Wicket are Latara (Teebo’s love interest) and Malani (Teebo’s younger sister). A funny thing to notice is that the cartoon apparently switched the identities of Teebo and Paploo. 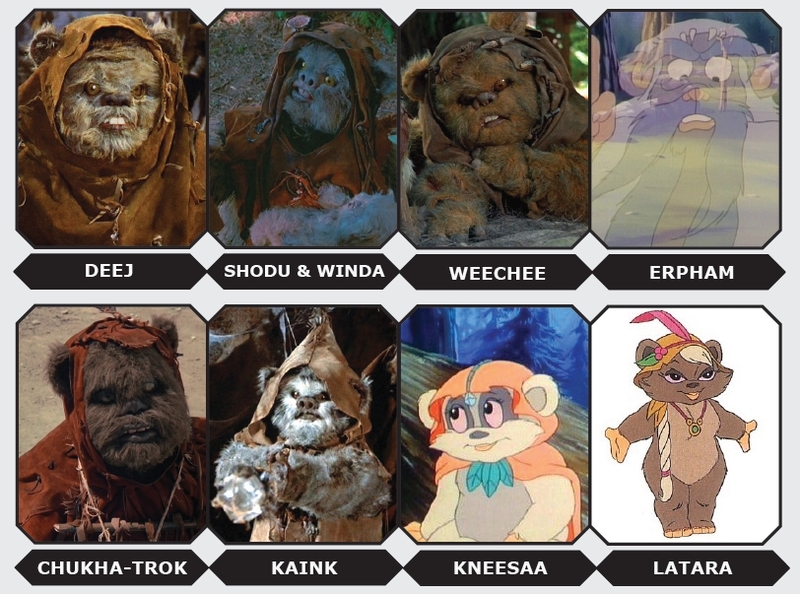 Among newly introduced Ewoks in the cartoon are Asha (Kneesaa’s long lost elder sister), Erpham Warrick (Wicket’s great-grandfather), Bozzie (Paploo’s mother), Ra-Lee (Chirpa’s deceased wife), Wiley (Latara’s wokling brother) and Zephee (Lumat’s wife and Latara’s mother). Other Woklings of Bright Tree Village are Leeni, Mookiee and Gwig. Warwick is an Ewok mentioned in the novelization of Episode VI. Tim Veekhoven (Sompeetalay) from Belgium is president and co founder of TeeKay-421, the Belgian Star Wars Fanclub. 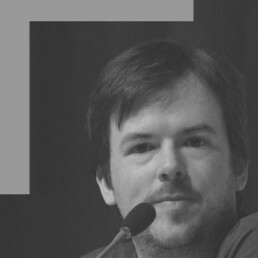 He has contributed to Star Wars Insider (Rogues Gallery), is an administrator for Yodapedia and has written four character back stories in “What’s the Story?”.